Scenes from Russell Square Saturday 13:42. 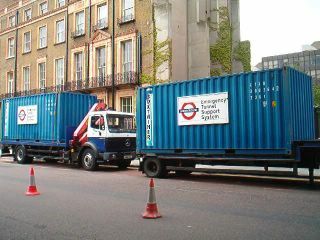 Tube emergency tunnel support trucks parked closeby. It is unclear the extent of the damage to the Picadilly Line at this section but given the reported damage the line is not expected to be restored anytime in the forseeable future.